Throughout your Project, you will likely conduct a number of interviews with key stakeholders, customers and influencers. 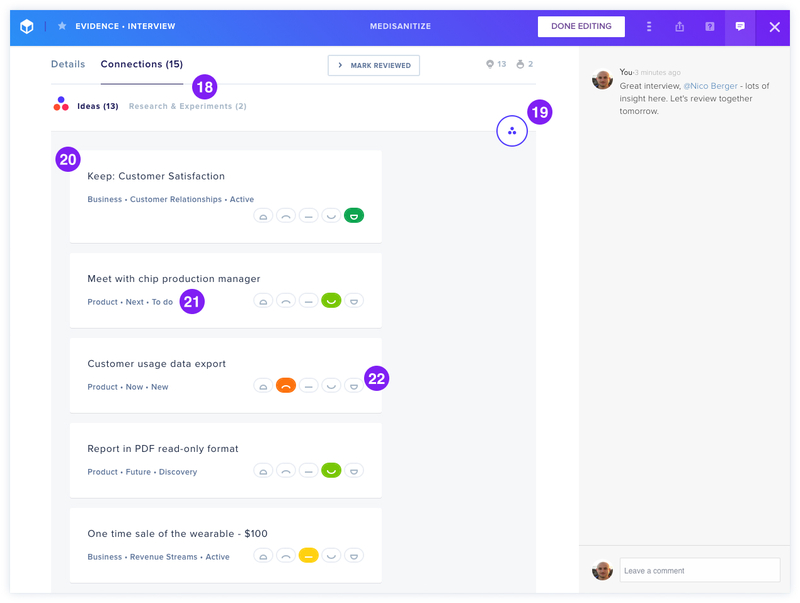 Through the Interview feature, you can easily capture insights, notes and attachments from an interview and share them with your team. 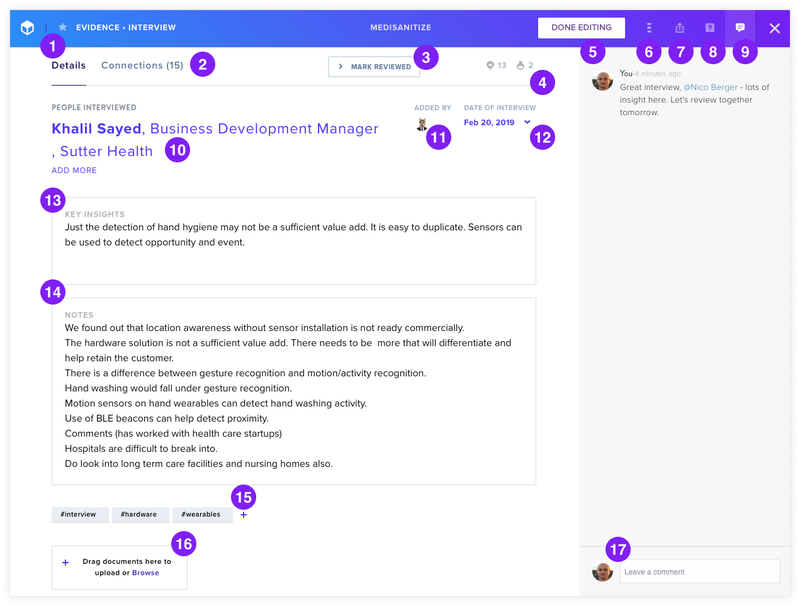 You can also rate your interview and link it to an Idea on your Canvas. Find out about Evidence • Other here.